Taxi is a very important transport in Moscow. 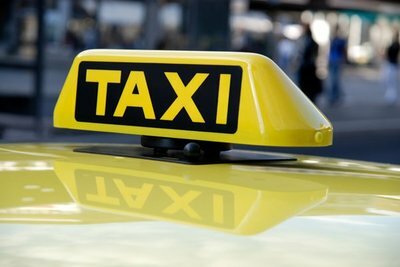 Most often people use taxi to go to airports or train stations, when they travel around the city at nights or if they are just used to travel by car but do not have one for some reason. ⇒ It is important to remember that traffic is often very heavy in the city especially at rush hours. So, if you need to travel to some place in rush hour it is smart to order your taxi several hours in advance to make sure you are picked up in time. ⇒ At nights and weekends the roads are normally not as crowded and it is rather safe to order your taxi 30-60 minutes before you need to go. ⇒ When planning your trip it can be helpful for you to check how long it may take you to get from one place to another with the help of google or yandex maps. ⇒ It is convenient to order taxi to pick you up in the airport one or more days before you arrive to the city. The driver can meet you near the exit with a sign with your name. ⇒ It is always more safe to call the taxi rather than take an unknown provider/ just a driver outside. ⇒ If you are using a taxi service which charges per minute, the driver must show you the taximeter with a final sum according to the laws of the Russian Federation. ⇒ Due to heavy traffic in Moscow it can be more covenient to you to use taxi companies with fixed prices, not per minute.